An opportunity arose for me to review a unique soda, an opportunity I enthusiastically seized. Zevia All Natural Soda is its name and it comes in a host of flavors. The particular variety I will be reviewing is Black Cherry. I think some information about the Zevia brand is in order here. Zevia is an "all natural soda," meaning it isn't made with artificial ingredients or sweeteners. The absence of any type of sugar is what sets this beverage apart for me. It is sweetened with a substance listed as "Stevia Extract." The ingredients portion of the can's label notes Stevia as not effecting blood sugar, a bonus indeed. With that being said I put my new can in the refrigerator to be cooled and waited with considerable expectation until I could see just what this unusual brew could deliver. So a now cold can is in my hand and I take a gulp. It tastes like traditional black cherry, but slightly different. As a soda drinker I am not unfamiliar with the taste of the various forms of sugar, so the absence of said ingredient immediately jumps out. The drink is still sweet, but the sweetness is much lighter and less overpowering that what I am used to experiencing. One drawback is that an aftertaste is left in my mouth, but that isn't unusual, and I can't help but think that my unfamiliarity with the new type of sweetener contributes. Zevia Black Cherry is good enough for me to finish the whole can and I think I would purchase it in the future if presented with the opportunity. Final review: Buy a bottle! Zevia isn't great but it tastes good enough to drink when in the mood for soda. 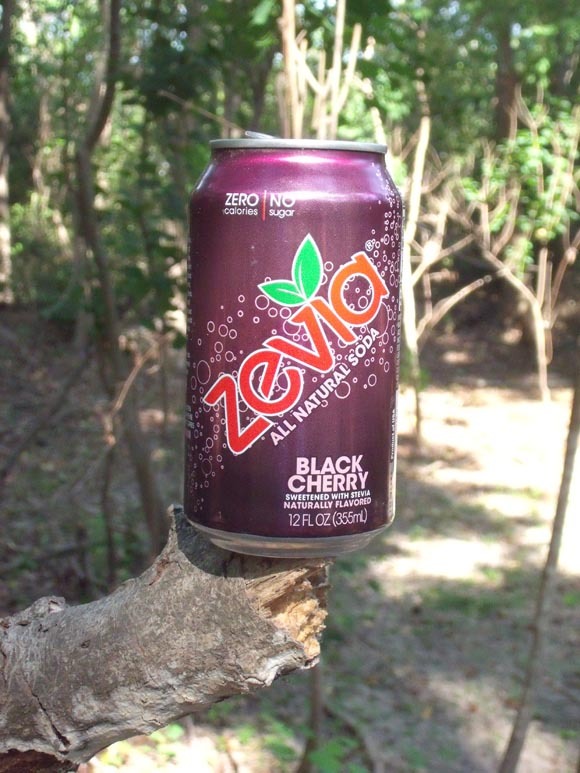 Zevia Black Cherry Cola is actually harvested like this. I think this one is ripe for the picking!